We were world leaders when we ran the first university jam in 2013 and three years on we've delivered another fantastic unjam. With almost 1000 conversations and 12000 comments, the jam experience has been fantastic - offering an environment where staff can engage with setting the course of their organisation as few others can. A jam is an online brainstorming event and ideas generator. It allows for thousands of participants to have a conversation on a range of issues in real time from wherever they are located. To do this we will be using IBM’s Collaborative Innovation platform. Globally, over 80 businesses, not-for-profits and government bodies have successfully used this technology for organisational conversations. Who can register and participate? 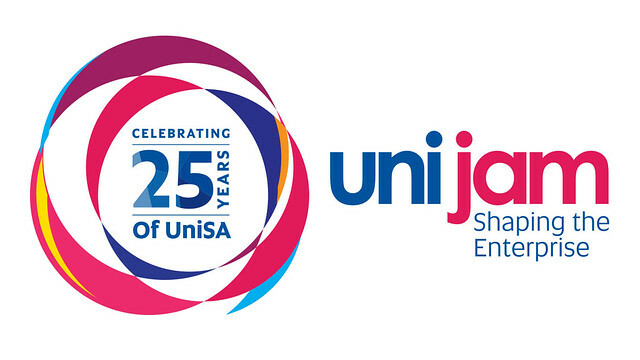 UniSA alumni – if we have your email address, we have sent you an email invite and you can register using that email address. If you haven’t received an invite by email, you will need to update your details to be able to register. Registration opens on Tuesday 26 April and remains open until the end of the jam on Friday 20 May. Once registrations are open complete the registration form (hosted by IBM) and follow the instructions on the email you will receive from IBM. You must complete the validation step to confirm your registration. If I registered for the last unijam, do I need to register again? Yes, everyone needs to register for this unijam. Go to the registration page here to register. 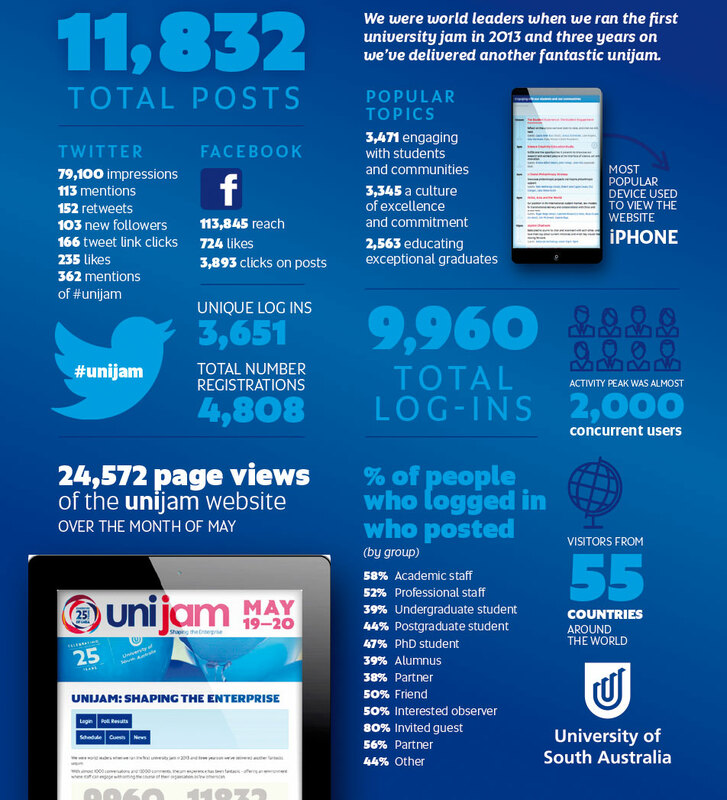 When does unijam take place? 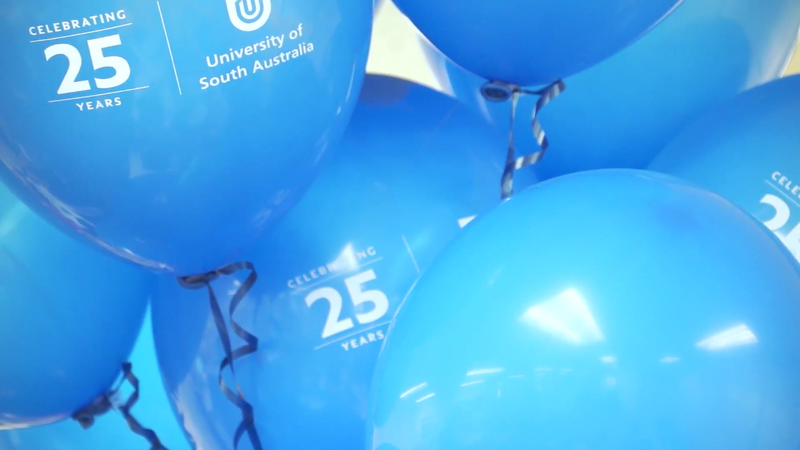 unijam will begin 10am (Australian Central Standard Time) on Thursday 19 May and conclude on Friday 20 May. What will happen at unijam? unijam will comprise a series of online discussion forums covering a range of topics. You’ll be able to chat with VIPs, industry and business leaders from all over the world, plus senior managers from UniSA. You can ‘follow’ particular threads of discussion or a specific person’s comments, as well as make your own comments. Your responses will not be anonymous...but that's a great way to connect with others you know during the jam. The unijam conversations will be distilled by IBM through its data analytics capabilities to help guide our strategy development. A detailed report will be prepared by IBM on the major themes that emerged during the discussion for consideration by the University. Can I log in to unijam without making any comments? 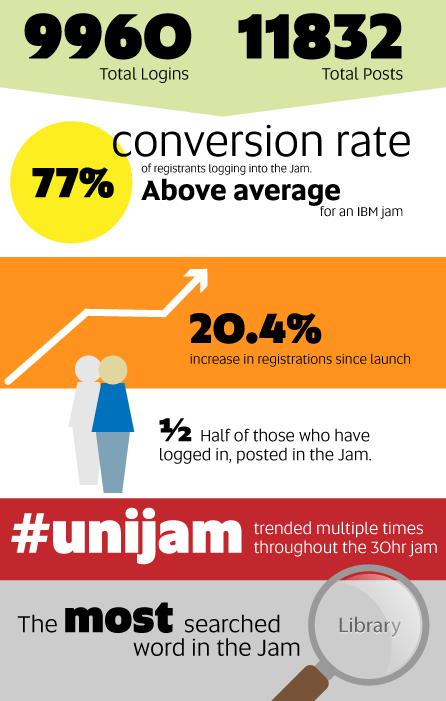 Yes, you can just view the unijam conversation but you must still register to log in to the event. Do I need to be on campus for unijam? No, you can join the unijam from anywhere you like, as long as you have registered and have a computer and internet access. Have more questions or comments about unijam? We want to hear from you.